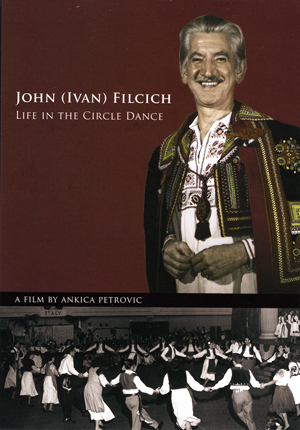 John (Ivan) Filcich, a Croat in ethnic background, devoted his life to the preservation and promotion of musical traditions and dances of many ethnic groups in California. Filcich has been a music seller and record produceer catering to ethnic communities in California for nearly sixty years. Since 1947, he has been a folkdancer, and then a teacher to the international folkdance community in California, and he was a founder of that community's Kolo Festival. In this documentary, John (Ivan) Filcich is portrayed as a treasure trove of knowledge and an invaluable source of information and documentation for all those fascinated by the musical and dance life of of California's ethnic groups in the second half of the 20th ccentury. The film exposes Filcich's vivid memories; his vibrant but modest personality; his warm, expressive way of presenting knowledge of oral cultural history; the caring way he shares music, dances, costumes, and information, and it documents his long-lasting relationship with Machvaya Gypsies, and his knowledge of their changing lifestyle within California's multi-ethnic urban setting.